And in this meta u need Rest in Peace or Relic of Progenitus for any graveyard heavy decks. 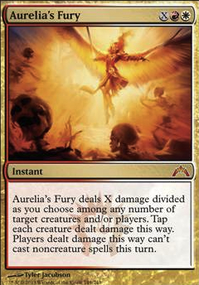 Other things like Damping Sphere would be nice against tron or storm, but bad for yourself. Sieghart I think you're right about the Arch, and playing another Clifftop Retreat in it's place is probably more correct. However, my personal preference is a more slim manabase than most, and I was fighting the urge to cut to 21 lands anyway. The Arch serves as a decent compromise: always a land, sometimes gas. 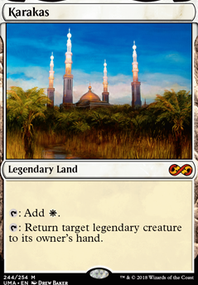 If I were going to a major tournament (spoiler alert: I'm not lol), I'd likely swallow personal preference and swap the Arch for a colored land, color(s) dependant upon a small handful of other changes I'd probably make. 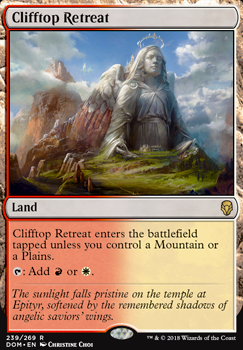 other lands to look at would include Arid Mesa , Wooded Foothills , Windswept Heath , Stomping Ground , Sacred Foundry , Clifftop Retreat , Rootbound Crag , and Sunpetal Grove . I can't deny that Merfolk and their philosophy did fit me quite well. I overall like combo mechanics, powering up, and things like that. Is there anything out there for me? 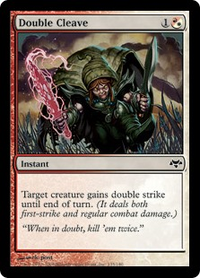 Some pre-made commander? Is there anything out there that I could potentially create with my cards? Is there something that I could build towards?